The Expert Advisor plots a Fibonacci based on the standard ZigZag indicator and traded rectracements from all levels. The levels are fixed and cannot be customized by the user. 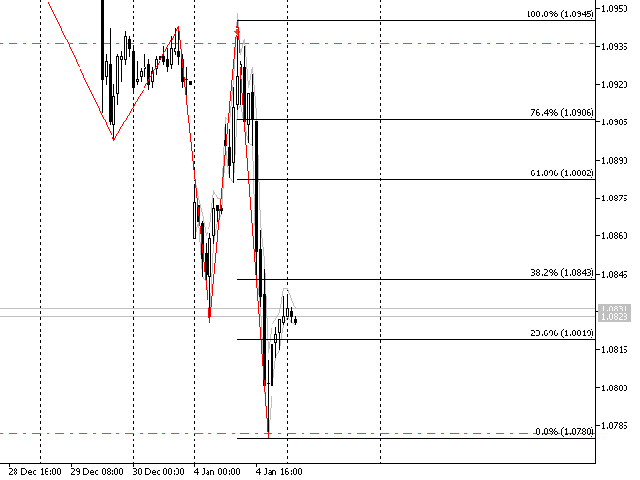 Something strange with this ea,extensions are not drawn only retracements…. So the take profit isn't working well.